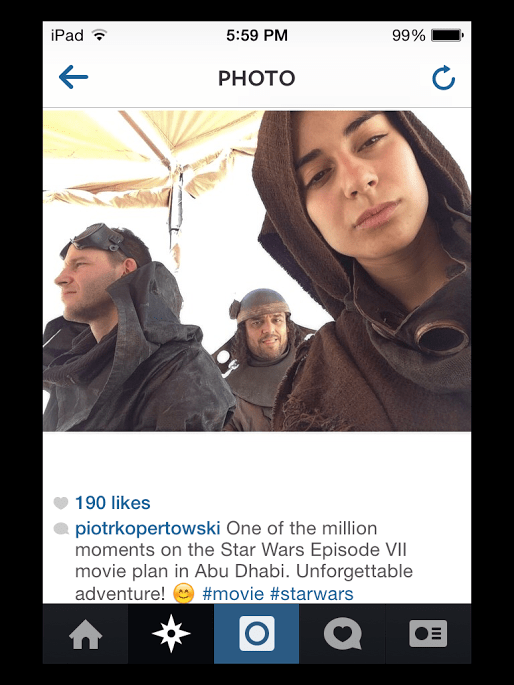 2 new pictures of Star Wars: Episode VII extras from the Abu Dhabi set! PS Also last year I started drawing one Star Wars character a day until the release of Episode VII to help raise awareness and donations for Water.org. Just thought I’d share since it’s somewhat relevant. Check them out at SketchWars.org. Check out Nick’s stuff! 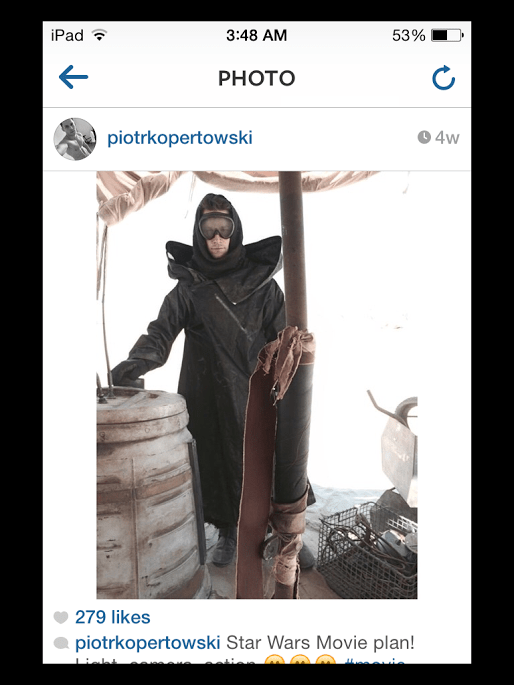 Thanks for the pics, Nick!